In its research paper following a round table discussion in which Attorney General Mukul Rohatgi also participated, Vidhi Centre for Legal Policy has recommended 7 measures which aim to make Supreme Court effective and efficient. The sub head to the paper also seeks to make an attempt to address issues of backlog and regional disparities in access. Establishing National & regional Courts of Appeals and Regional Benches of the Supreme Court. The paper suggests that such establishments will help in reducing the backlog of cases and the Supreme Court will be able to focus on its true purpose of deciding constitutional cases. However, it is also noted that this solution is not feasible at this moment. Creating Specialised Benches and greater engagement of experts in Supreme Court. The idea is borrowed from Justice Dattu’s Tax Bench & Social Justice Bench which yielded positive results. Interestingly, Justice Thakur as the CJI has focused to resolve constitutional matters and both specialized benches have been put at rest. The welcome idea has been tried and tested & resulted in positive output. It has also recommended to engage services of seniors through amicus as experts. Our addition to it is that specialised benches may be set up but the roster must be kept shuffling to avoid allegations of biasness and forum shopping. Ad hoc appointment of retired judges can be made. Under the never used Article 128 of the Constitution the Chief Justice can request a retired and willing Supreme Court or so qualified High Court Judge to sit and act as a judge in the Supreme Court after taking consent of the President. Such an ad hoc judge will be granted allowance but shall not be treated as a sitting judge. The Law Commission in its 125th Report had way back recommended use of this provision to reduce backlog of old cases. Vidhi also recommends that constitution of such additional benches must not replace more permanent institutional and legislative reforms for reducing judicial backlog. To reduce experimental Special Leave Petitions (SLP) which constitute a major chunk of burden on Supreme Court Vidhi has mooted greater restraint and judicial discipline and a stringent mechanism of cost imposition for frivolous litigants. Recently a Constitution Bench in Mathai @ Joby v George & Anr [SLP C 7105/10] had declined to issue a set of guidelines for SLPs as the matter is no more a virgin area of law. Vidhi also suggests greater caution on the part of Central Government which is the largest litigant in the Supreme Court before filing of cases. National Litigation policy which was put into legal parlance for this purpose has largely remained ineffective. Changes though proposed in it, are yet to be functional. It is also mooted that a constitutional division may be created within the Supreme Court. The recommendation though overlaps with the recommendation to establish specialized benches yet is in consonance with the need of the hour. The Law Commission in its 229th & 95th Reports had strongly averted that a separate division is very important to be crafted. An exclusive constitutional bench with expertise wise quorum will help the greater public purpose of mass development. The paper suggests that technological usage should be used to improve accessibility and justice dispensation. The Supreme Court has an E Court Project which if implemented properly will help in achieving the goal the three tier phase system it proposes. Lastly, it recommends that transfer petitions which consume a lot of time and a substantial pie of the workload may be heard and disposed of by a single chamber judge. Petitions filed u/s 25 of CPC & 406 of CrPC which mostly do not contain any substantial question of law can be decided by a chamber judge which saves precious times of judges plus will be a quick and effective disposal. In a nutshell, the paper connects Nick Robinson’s extensive research on Supreme Court with Law Commission Reports and other measures. The suggestions have been debated for quite some time as from time to time under their administrative powers Chief Justices have taken excellent steps to cure the defects our Supreme Court suffers from but to no avail. Pendency and backlog are big problems. 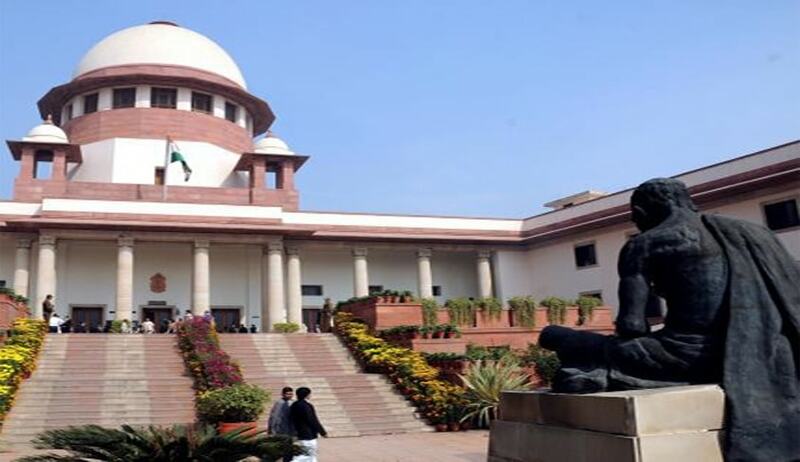 SLPs have been converted into Special Experiment Petitions, Arbitration has not proved to be devoid of judicial interference, Economically strong & geographically close to New Delhi States have the maximum filing and as Supreme Court sits on the top of the pyramid pendency & frivolous filing must be checked at each step. The suggestions put forward, if implemented in spirit will definitely help in making our Supreme Court more effective and efficient.